DUNDAS, ON – Shawn & Ed Brewing has announced that its spring/summer seasonal brand is now available at the LCBO. Valley Wheat Ale is low in hop aroma and bitterness with pleasing fruit and spice characteristics. It is made with 45 percent malted wheat and exhibits a tart, fruity flavour with a complex estery aroma. In traditional style, the unfiltered bottle-conditioned nature of the beer contributed to its hazy appearance. 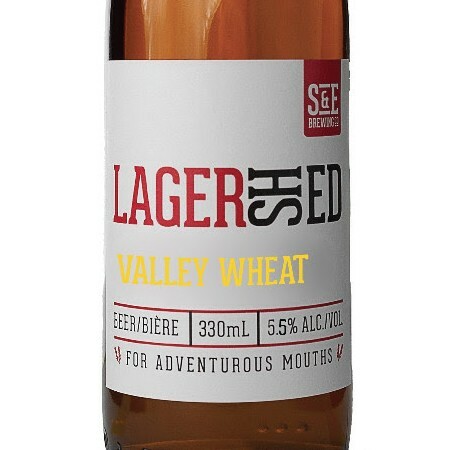 Lagershed Valley Wheat is available now in six-packs of 330 ml bottles retailing for $14.95 at select LCBO locations in Ontario, and the Shawn & Ed brewery store in Dundas.